Report #7 includes sixteen new block producer candidates. As announced previously, BPCs without at least one URL showing clear evidence of candidacy are no longer listed or included. - Due to popular demand - we are going to skip next week's report to implement changes and improvements. Expect to see next report on May 2 - with two new criteria, to be announced soon. Thank you! 16 new block producer candidates. Please contact [email protected] to discuss / amend your listing no more than (72) hours after the publication timestamp of this report; we will offer one edit to this image for missed information. 1) PUBLIC PRESENCE: A public website URL and at least one social media account. 3) TECH SPECS: Estimate of technical specifications and total expenditure for resources by June 3, 2018 - posted to Steem blockchain. Check mark given for any estimate, modesty encouraged by permanent Steem record. Quality and accuracy of effort will be judged by the EOS community. 4) SCALING PLAN: Estimated scaling plan for hardware after June 3, 2018 - posted to Steem blockchain. Rough outlines receive a check mark, open review gauges the effort. 5) COMMUNITY BENEFIT: Community benefit project outline, only for projects expected to be public by June 3, 2018 - posted to Steem blockchain. 6) TELEGRAM+TESTNET: Listing of Telegram and Test-net node names for community testnet participation. Below is a list of all candidates with their website and Steem verification posts. The following list of current Block Producer Candidates (BPCs) is sorted by the same methods as the graphical list above. 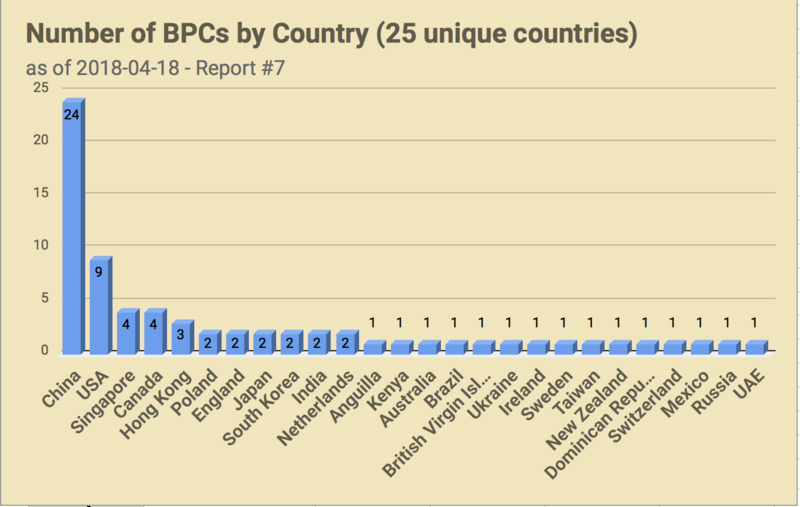 Information presented here was submitted directly by BPCs and has been minimally checked by EOS Go volunteers but not verified for completeness or accuracy. BPCs without at least 1 URL showing clear evidence of Block Producer candidacy are no longer listed. 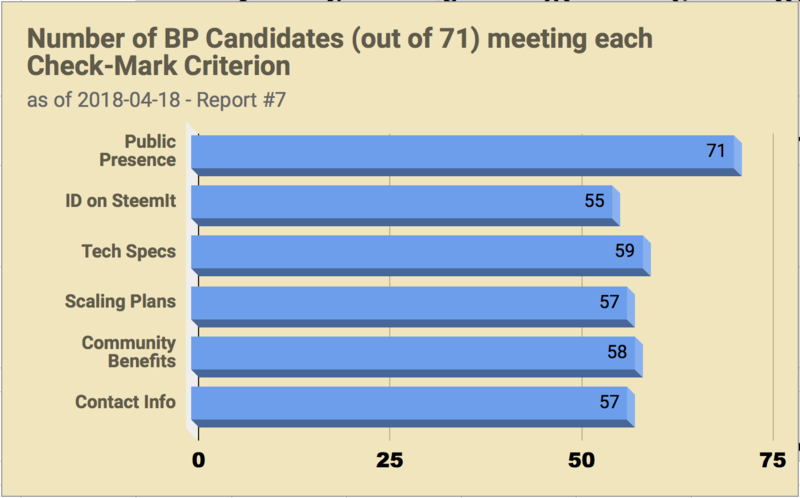 To have your BP Candidacy re-listed please submit a valid URL or Steemit post with information about your candidacy to: [email protected] OR through the original BP Candidate form. BPC list randomization is performed with the Shuffle tool in the AbleBits Power Tools plugin for GoogleSheets. Why Steem? In the interest of fairness and transparency we request all BPCs to post information on a blockchain-backed platform where content cannot be silently altered or removed. This provides short- and long-term assurance to all parties -- other block producer candidates, EOS token holders, and the interested general public. EOS Go includes SHA256 checksums for important data-containing image attachments in our SteemIt posts to ensure long-term content integrity and verifiability. (As of this writing SteemIt does not include a native mechanism for ensuring image integrity, read more here if interested.) We add SHA256's shortly after the initial post goes up to avoid process-related mismatches due to images being re-encoded server-side during the posting process. Additionally, EOS Go archives a local snapshot of the raw BPC form submission data (a .CSV-format spreadsheet) at the close of each weekly period. The .CSV snapshot will be archived for at least 2 years and its SHA256 checksum is posted in the report. 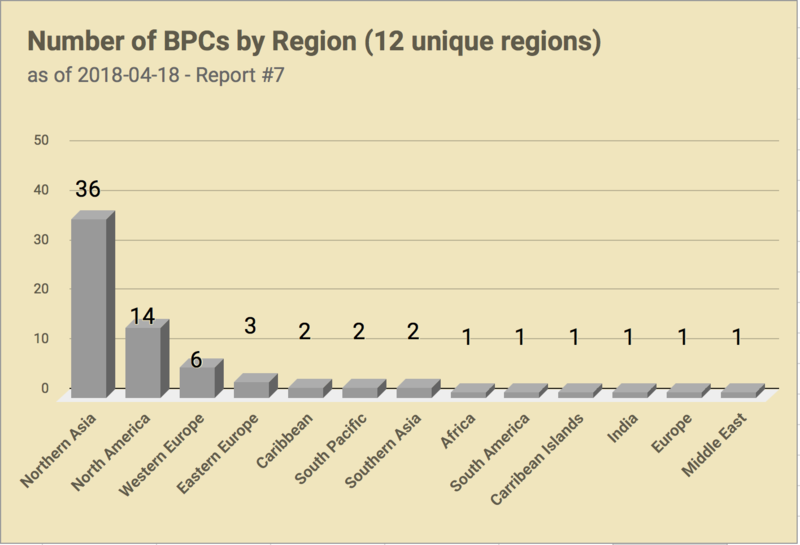 In the event of a serious discrepancy or conflict relating to the BPC registration process a trusted 3rd party (such as an arbitrator) could examine one or more weekly data snapshots to verify their chronological integrity. Any changes after initial publication of this report will be logged here.